NEW map art with MOUNTED maps! 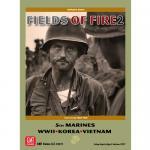 Additional Player Aid Cards (including rules references to make for less rule-book flipping). Plus, of course, correction of all the errata from the first edition, incorporated into the rules and counters. Also, as a bonus, the reverse side of one Dark Valley mounted map will be the Barbarossa to Berlin map, and the Barbarossa to Berlin counters will also be printed on the thicker counter sheets. 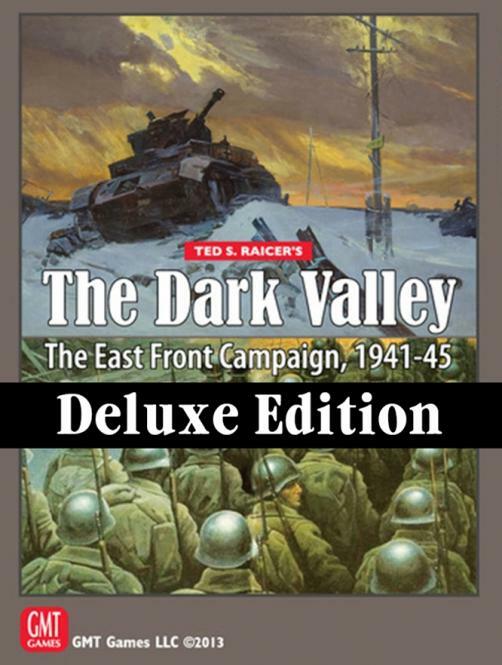 The Dark Valley covers the entire East Front campaign in World War II, on a 34” by 44” standard hex map stretching from Leningrad in the north to the Caucasus Mountains in the south,. Three and a half 1/2” counter-sheets represent every major unit that appeared during the course of the conflict. Initially most Soviet infantry are divisions, but as the game progresses these are replaced by armies and corps, so that players are not overwhelmed by the increasing Soviet Order of Battle. German mechanized units are divisions, while their infantry is a mix of division and corps. 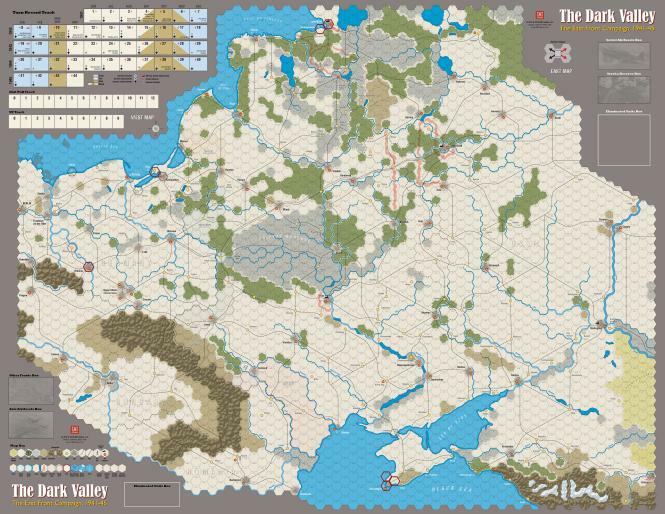 Although the game is a semi-monster, and covers the entirety of the conflict from the launch of Barbarossa to the end of the war, the game system emphasizes playability rather than rules overhead, allowing the players to concentrate on strategy choices rather than rules minutiae. The core of the game system is a “chit-pull” activation system. Each turn a variety of action chits are drawn, in a random order, from the Action Chit Pool, and it is this that determines the exact flow of operations on that turn. This chit-pull system imposes constant uncertainty upon the player and introduces considerable tension into the game. It also allows the game to model the evolution of the Soviets and the devolution of the Germans over the course of the campaign. 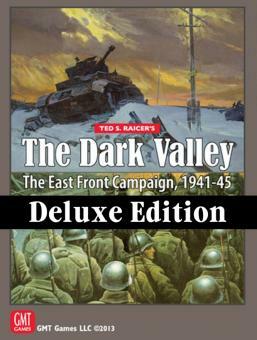 Besides the full campaign game, TDV features scenarios for Barbarossa, Case Blue, Kursk, and the Destruction of Army Group Center. Scenario start dates can also be used to explore shorter versions of the campaign. The game also plays very well in solitaire mode due to the underlying chit-pull system. From the German blitzkrieg in 1941 to the blazing ruins of Berlin, The Dark Valley provides a truly new look at this much-gamed theater.